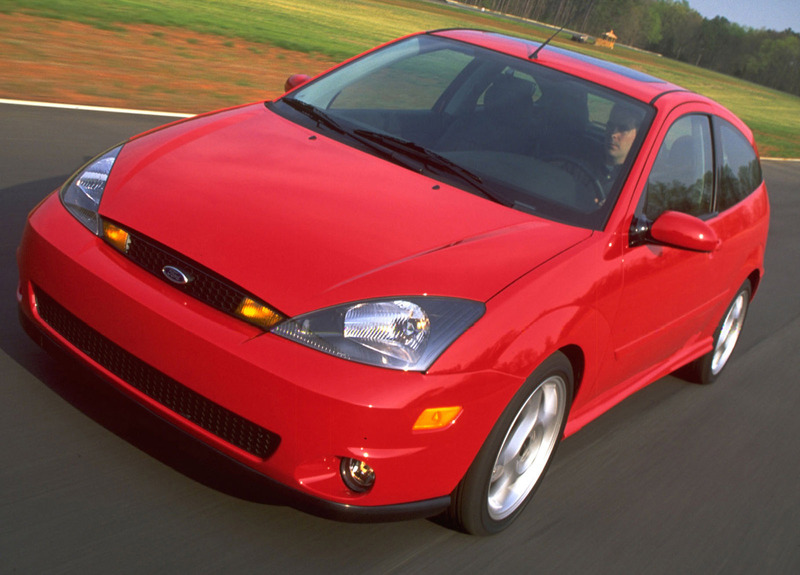 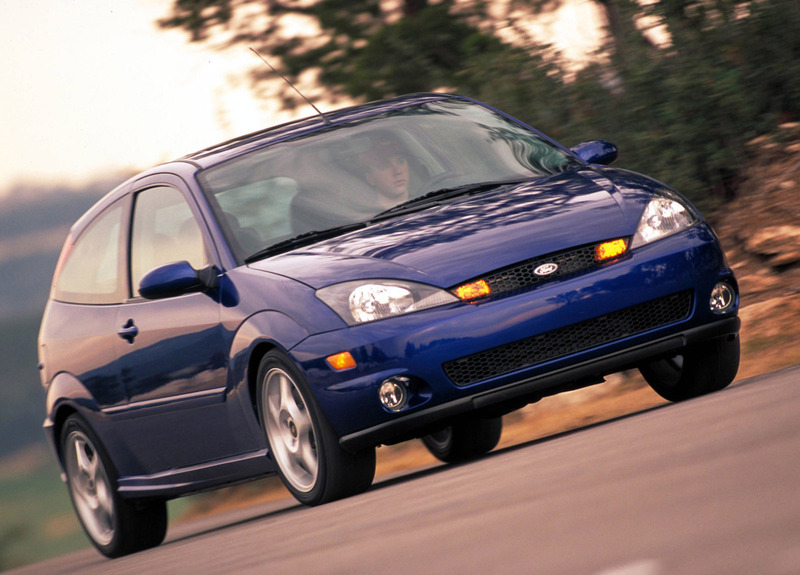 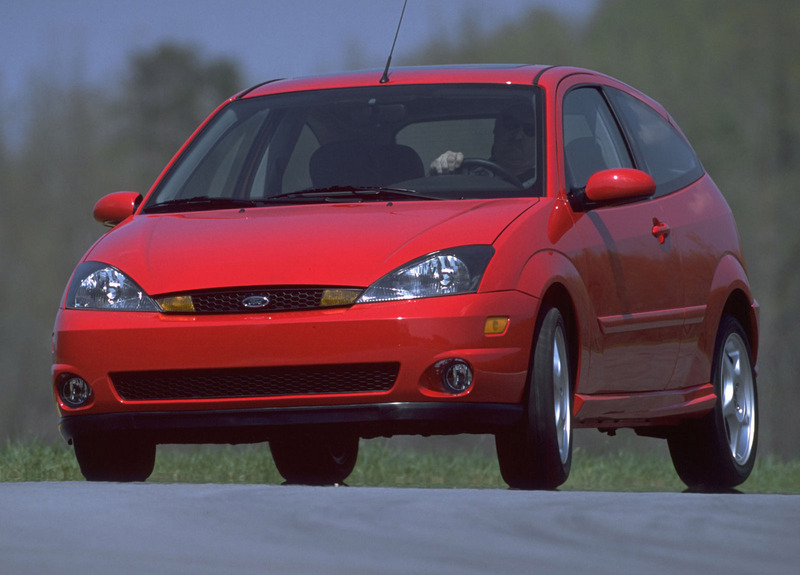 In late 2001, Ford's in-house performance group, known as Special Vehicle Team (SVT), introduced the SVT Focus to the United States and Canadaian markets for the 2002 model year. 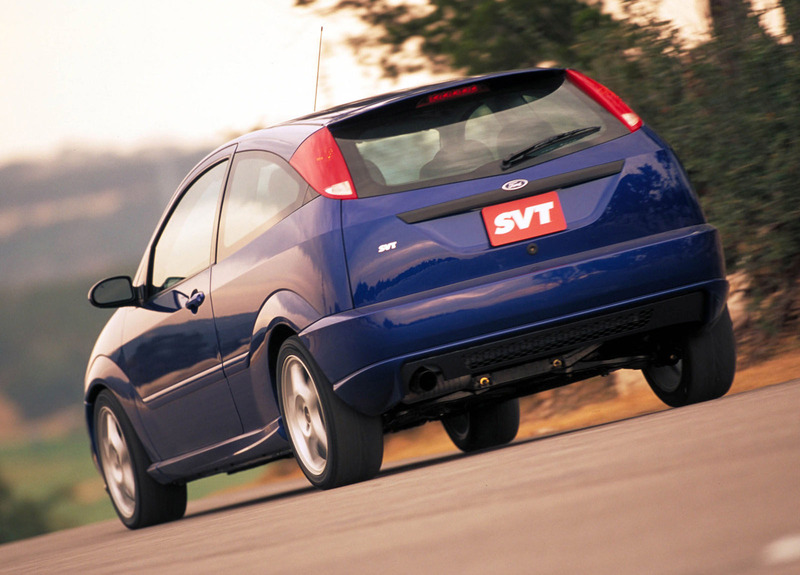 Ford billed the SVT Focus as the sportiest offering of the Focus to date. 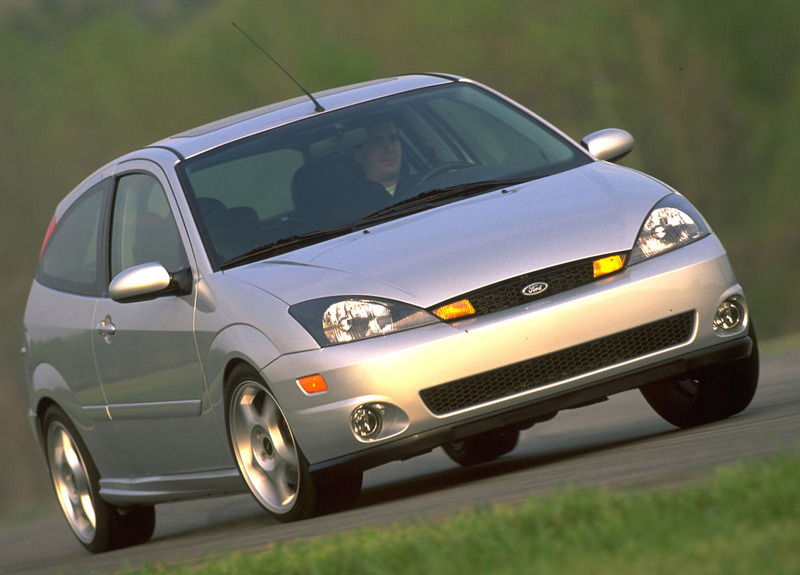 Cosmetically, the exterior included unique front and rear bumpers, fog lamps, rear spolier, special exhaust tip and 17" alloy wheels wearing 215/45R17 tires. 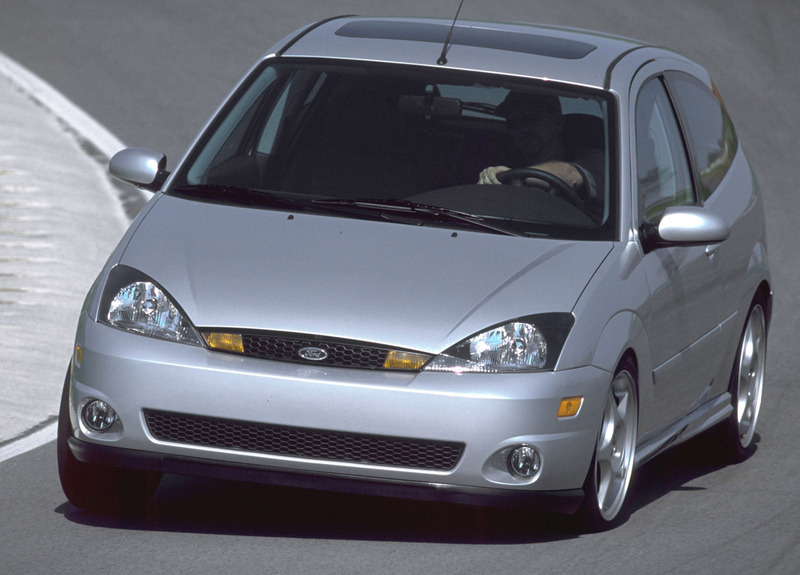 Mechanically, the car featured a throughly reworked version of the 2.0 liter Zetec engine available in other Focuses. 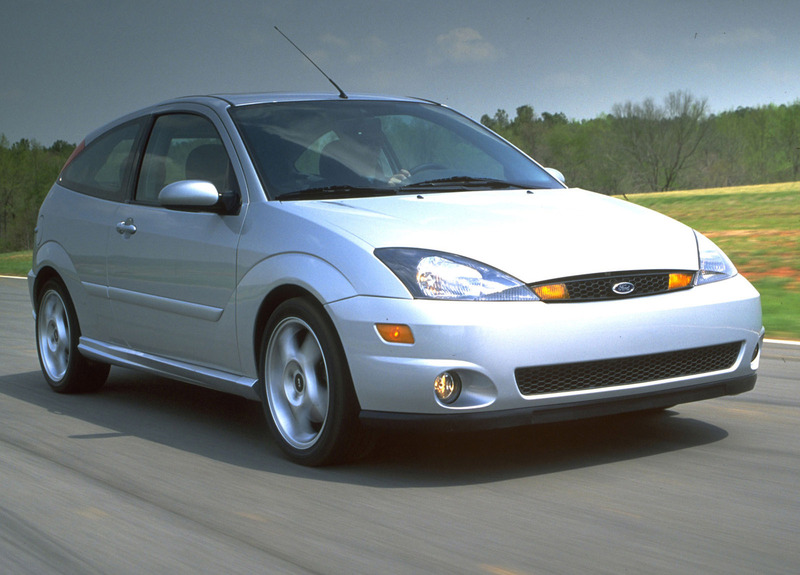 This engine featured many advanced technologies coming from Ford at the time. 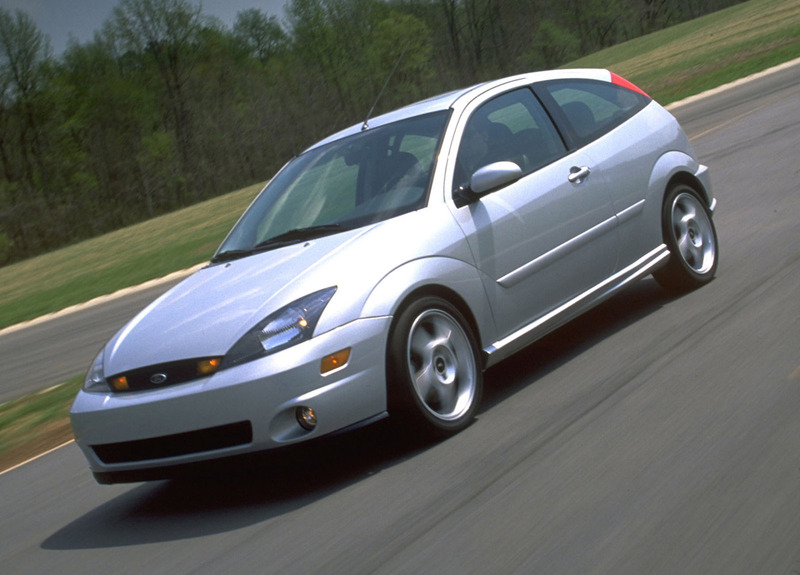 Included were a special aluminum cylinder head with enlarged intake ports, variable camshaft timing, dual stage intake manifold, and a 4-2-1 tubular exhaust header. 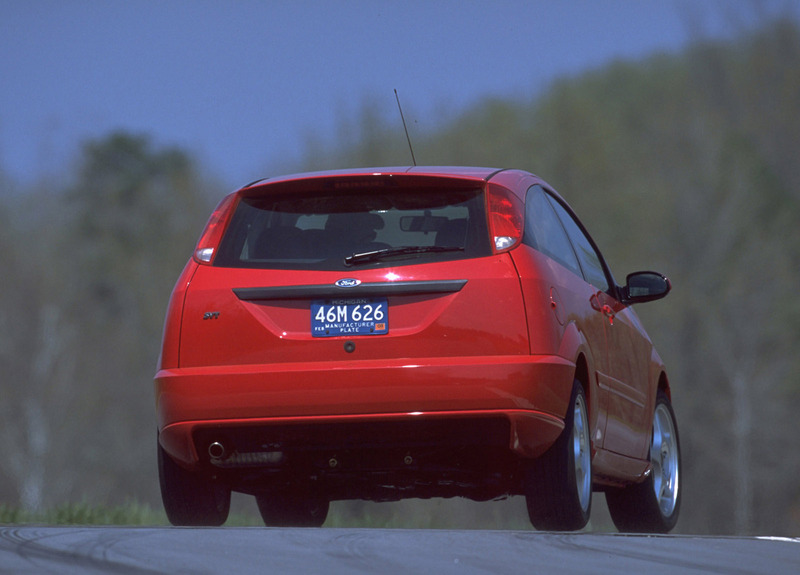 These additions bumped horsepower from 130 to 170, while still acheiveing good fuel economy and emissions. 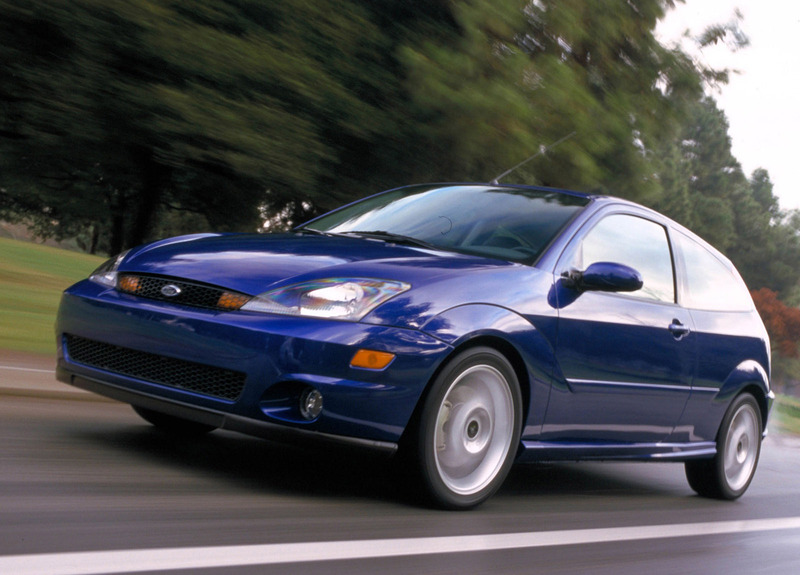 For the transmission, Ford went to German manufacturer Getrag to provide a six-speed manual. 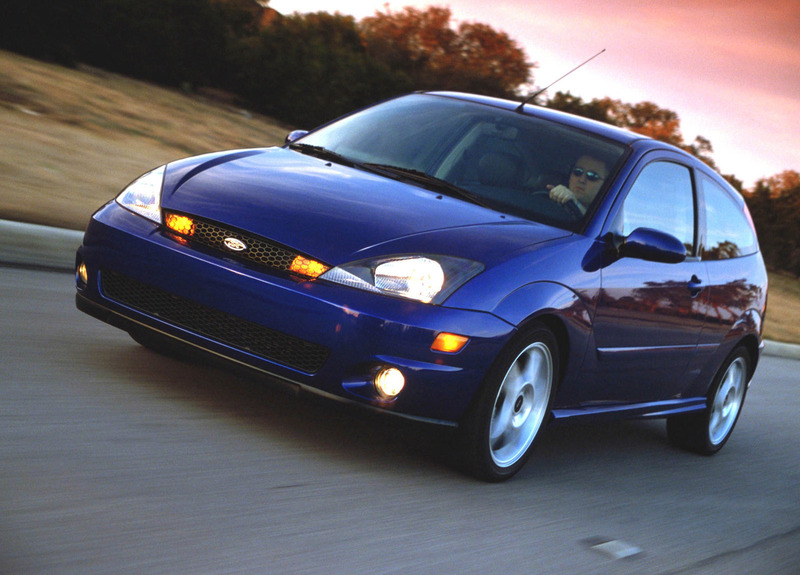 This transmission was a twin layshart design, and included a dual mass flywheel to eliminate vibration. 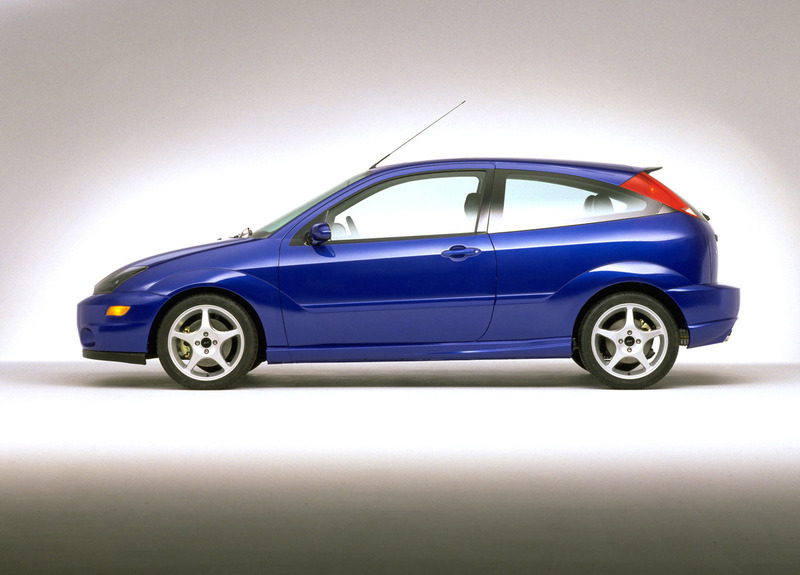 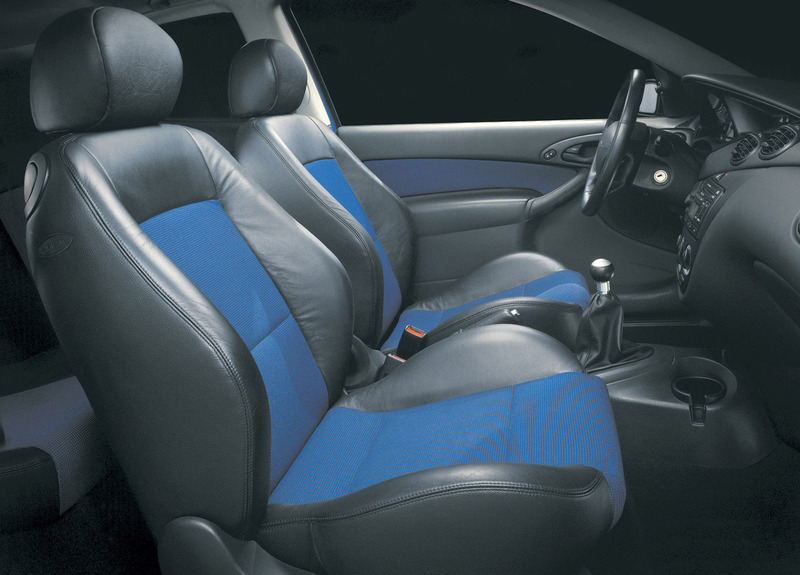 Other changes to complete the package included sharper steering, and stiffened suspension with larger anti-roll bars.